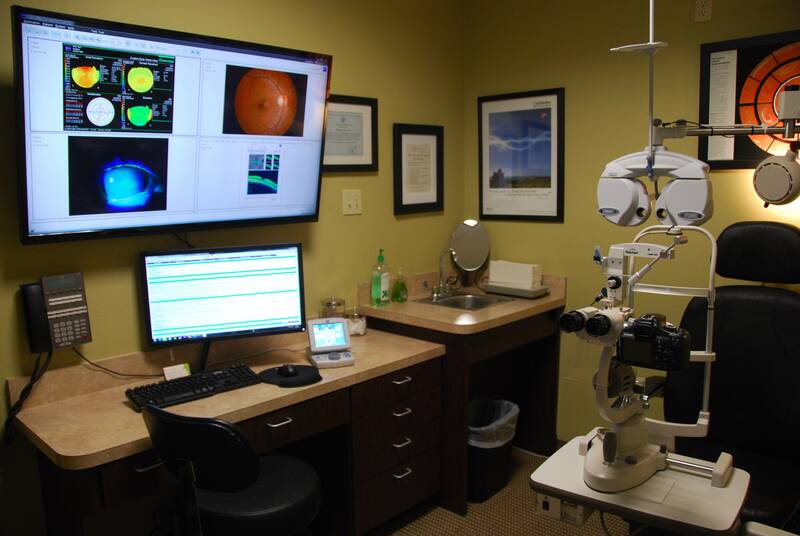 The most advanced retinal and optic nerve imaging device is available at CustomEyes Vision Care. It can detect the earliest retinal changes for patients with macular degeneration. Cirrus HD- OCT imaging also detects nerve damage for glaucoma patients years before traditional tests would discover the disease. The HD-OCT also tracks progression of both diseases over time. Visit oct.zeiss.com for more information on what this breakthrough technology can do..